According to the election chief, "all who were willing to become observers, did monitor the election"
MOSCOW, March 20. /TASS/. The US State Department spokesperson’s statement about 5,000 media workers having been denied observer status in the Russian presidential election is a lie, Russian Central Election Commission (CEC) Chair Ella Pamfilova said at a seminar for observers held at the Civic Chamber on Tuesday. "It is a total incompetent lie," she said. "We did not reject any applications. 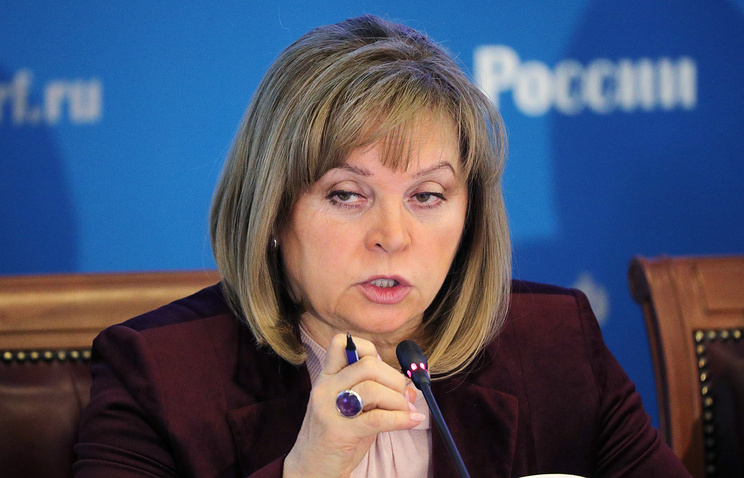 We said there were no obstacles if someone wanted to monitor the election in accordance with the law, including the most headstrong opposition activists, you just need to undergo the necessary procedures and we are ready to ensure your observer status," Pamfilova stressed. According to her, "all who were willing to become observers, did monitor the election." In particular, in Pamfilova’s words, more than 50 people representing opposition organizations "went to Chechnya, saw for themselves what things were like there and returned safe and sound." They did not voice any complaints, she added. On March 16, US Department of State Spokesperson Heather Nauert wrote on Tiwtter that "the Russian Central Election Commission’s decision to deny observer status to over 5,000 independent media observers shows Kremlin authorities fear transparency ahead of the March 18 elections." However, the Russian CEC had explained the decision to deny observer status to representatives of the Leviafan news outlet, established by supporters of opposition blogger Alexei Navalny and the Molniya news outlet involving members of the Golos movement. In particular, CEC Secretary Maya Grishina told TASS that the Central Election Commission had not accredited them because of false information containen in their applications. Besides, in her words, there is no an observer group such as "media observers." 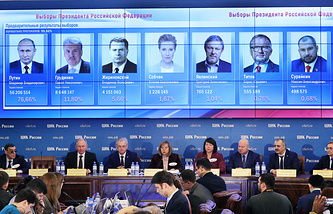 The Russian presidential election took place on March 18. According to preliminary results, incumbent head of state Vladimir Putin has won the election, receiving 76.66% of the vote with 99.84% of the ballots counted. Voter turnover was 67.74%. According to Pamfilova, no serious irregularities complaints were recorded during the voting.